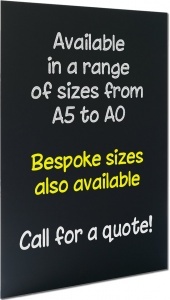 Available in a range of sizes and ideal for advertising menu items, events and special offers. 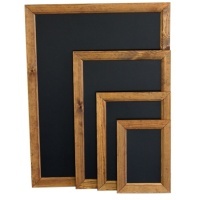 Made from 6mm moisture resistant MDF board finished with two coats of high quality, weather resistant black chalkboard paint. 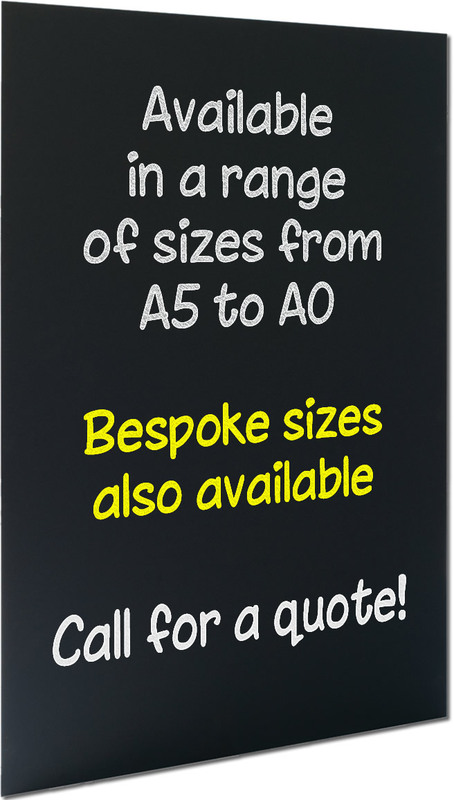 Bespoke sizes available on request. Please call 01823 698609 for a quote.